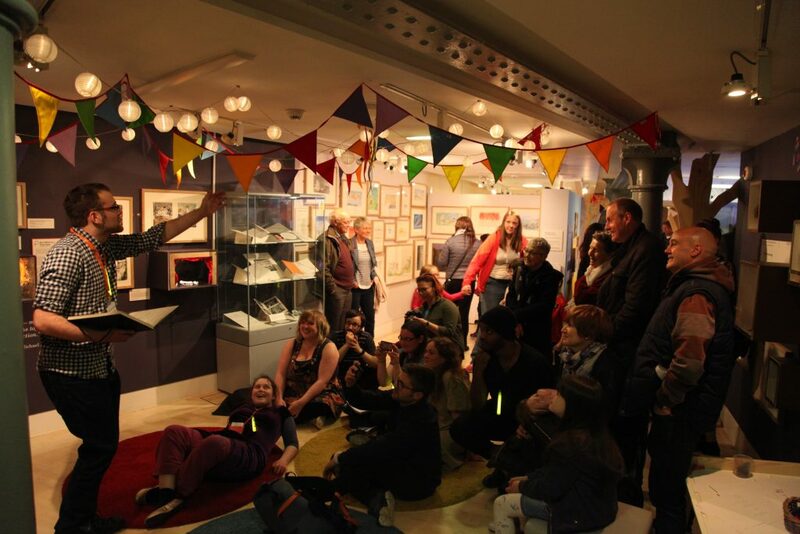 In May, cultural venues across Newcastle Gateshead participate in The Late Shows, part of the Museums at Night initiative. 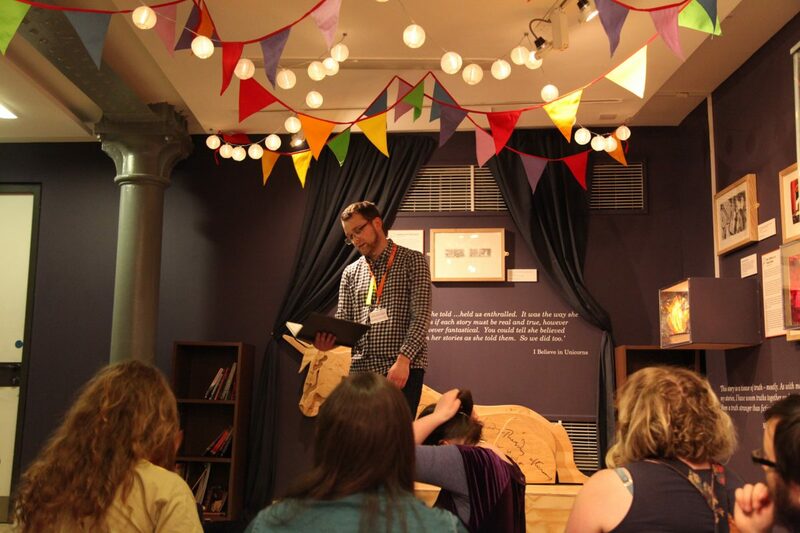 For this year’s Late Shows, Seven Stories: The National Centre for Children’s Books presented new artworks by students from Newcastle University’s MA in Creative Arts Practice, a postgraduate programme which focusses on creativity, interdisciplinary projects and digital technologies. 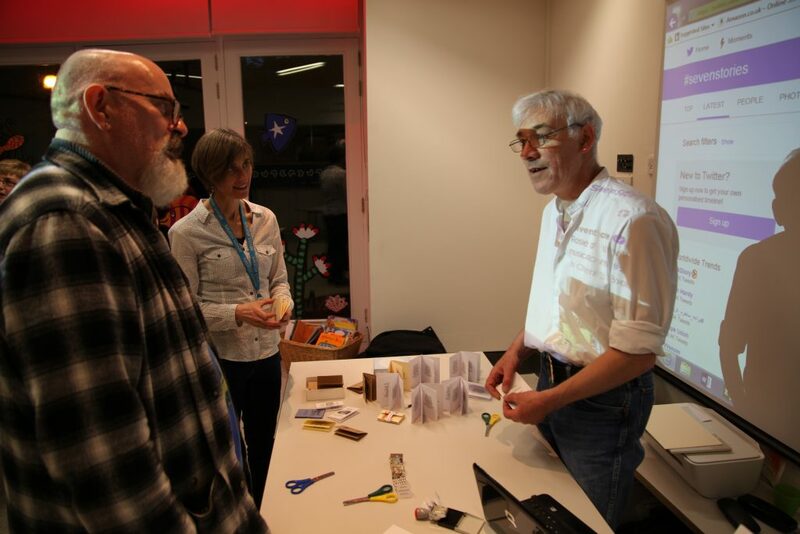 The MA in Creative Arts Practice programme director, Dr Tom Schofield, suggested the collaboration as part of an existing module around Enterprise and Research Methods. Dr Schofield said: “In our programme, we think about professional practice in terms of the way that our work makes sense in public. What does it mean to work with others? What do you need to make your work work in this environment?” This fitted with Seven Stories’ commitment to supporting emerging arts professionals, and presenting art and engaging audiences are core activities for the organisation. Following a successful application for Teaching Development Funding from the University, module leaders Dr Schofield, Tim Shaw and Professor John Bowers, the Seven Stories team and I discussed a programme of activities that would lead to the MA in Creative Arts Practice students presenting a new artwork for The Late Shows 2017, when Seven Stories offers free entry late into the evening and attracts a large and diverse audience. The starting point was collaborating to come up with a suitable commission brief for the students to respond to. 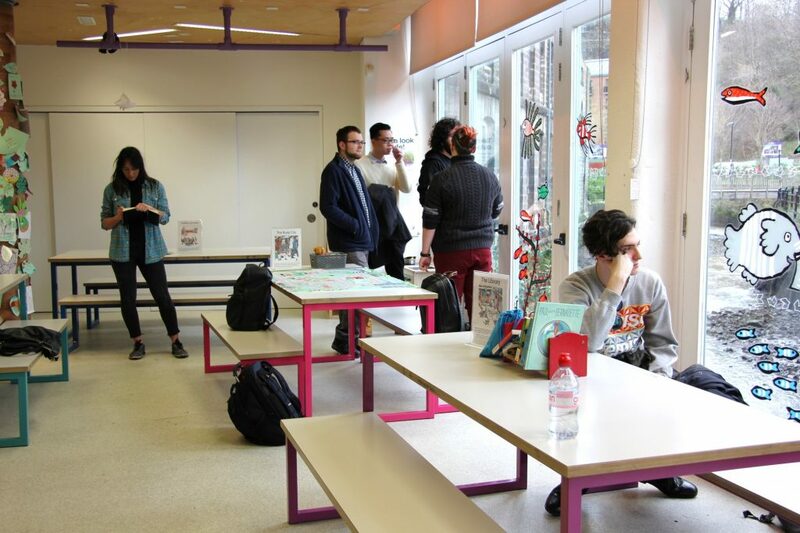 In March, the MA in Creative Arts Practice students came on a site visit to Seven Stories, where Seven Stories’ staff explained the commission brief, talked about our experience of The Late Shows, and the students had the opportunity to explore the different spaces at Seven Stories. They even took part in a story time! The students had around a month to respond to the brief with a costed artistic proposal. All the proposals submitted showed creativity, and the students had clearly thought about Seven Stories as an organisation, and what might be suitable for our spaces and audiences. 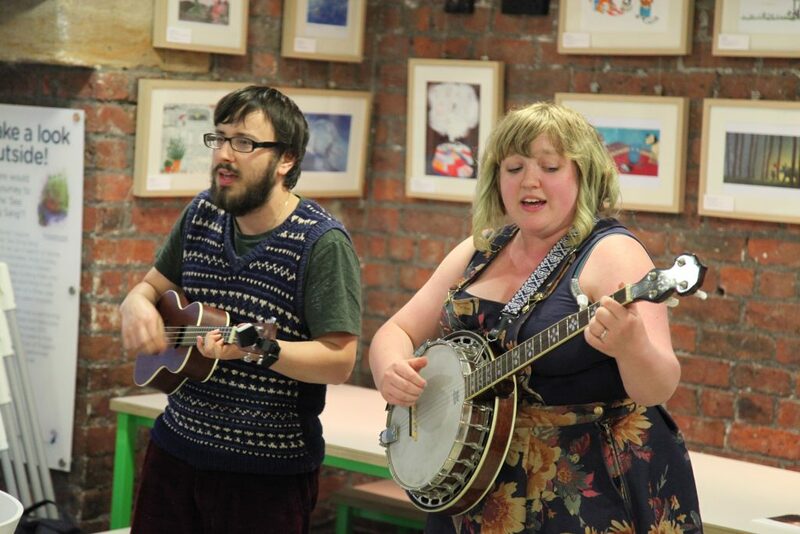 Will Finn and Rosie Calvert perform at Seven Stories. Seven Stories chose to commission two of the students, Lewis Brown and Mike Hirst, to deliver new works. We worked closely with the students as they planned their Late Shows activity over the weeks leading up to Friday 19th May, so that all of the partners were fully prepared. Mike with Professor John Bowers and Seven Stories Chief Executive Kate Edwards. Lewis performs in the Michael Morpurgo gallery at Seven Stories for The Late Shows 2017.